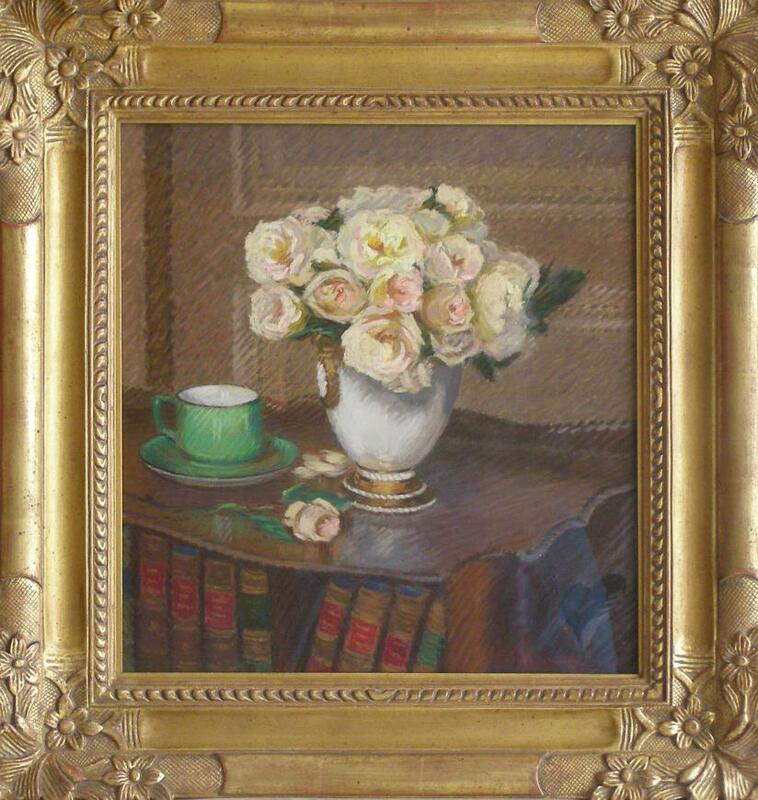 In this 1888 work Vase de Roses et La Tasse Verte Claude Schuffenecker still reveals the restraints of his earlier academic training from Paul Baudry and Carolus-Durand. Although there are subtle signs in the broken and rapid brushstrokes as well as in the close upfront position of the vase of flowers and the angular placement of the table, Schuffenecker has not as yet fully embraced the methods of the Impressionists that he would later adapt from Pissarro. 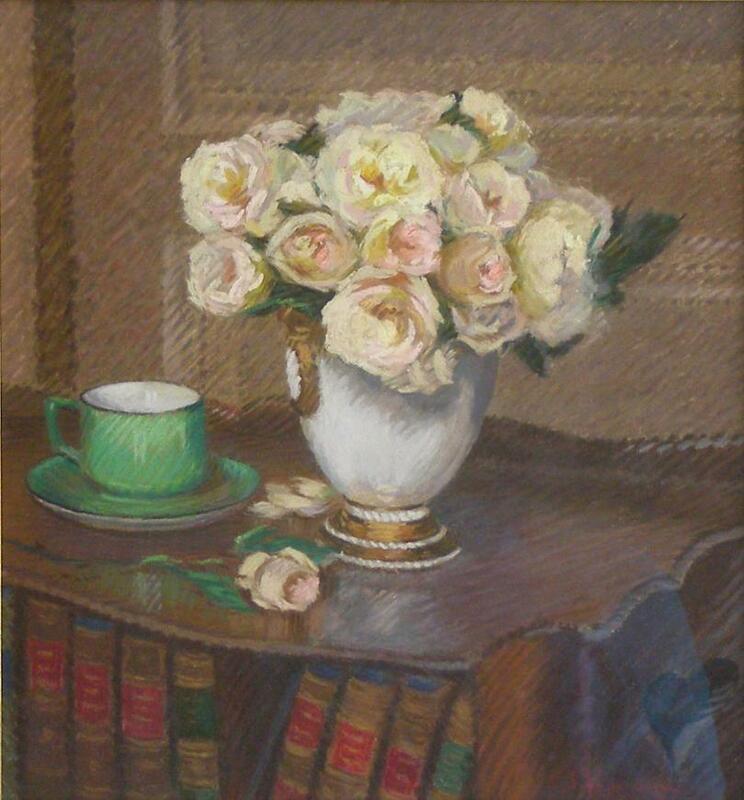 In a few short years Schuffenecker would visit the Normandy coast where he would again be captivated by the Divisionist theories before transitioning again towards Synthetism and Symbolism favored by his dear, close friend Paul Gauguin and Emile Bernard. Schuffenecker was one of the founders of the Salon des Indépendents where he made his debut in 1876.